Hawaii Airfare Sale With Round-Trip Flights Starting at $333! This is our permanent page for airfare sales to Hawaii. So you can bookmark it as it will be updated regularly. And to stay on top of every other deal, subscribe to our newsletter. Right now there are cheap flights popping up to all 4 major Hawaiian islands. There are great deals from a handful of US cities for as little as ~$333 round-trip in coach. Sale cities include Newark, San Francisco, Houston, Portland, Denver, San Diego, and more! When prices are this low it can be a great time to consider paying for your flights with points because you’ll often end up using fewer points for your flight, and you’ll earn frequent flyer miles at the same time! 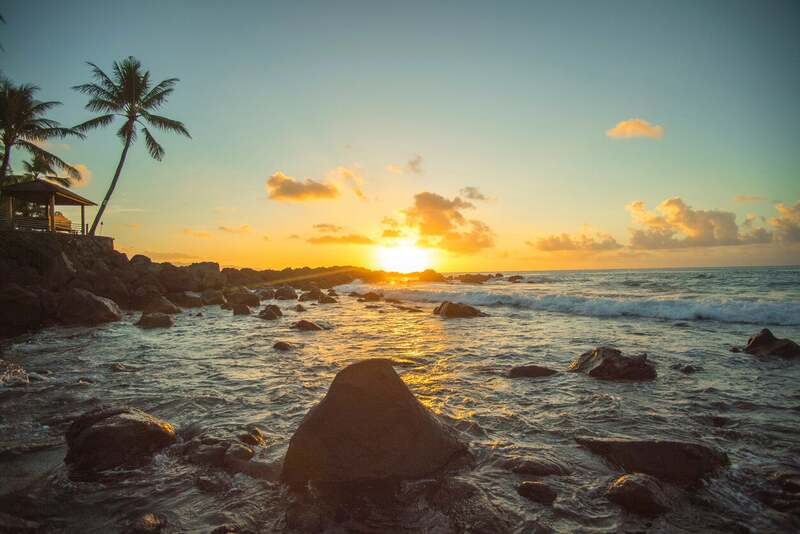 It’s Time to Say Hello to the Sunrise in Hawaii! There are cheap fares from September 2018 through June 2019, depending on your departure city. The best deals this time around seem to be with Alaska Airlines, American Airlines, Hawaiian Airlines, and United Airlines! These aren’t all of the best fares that are available, so you’ll want to double check for discounts on routes that fit your travel plans. See our posts for how to use Google Flights and ITA Matrix to find sale dates. Then book directly on the airlines’ website, or through a site like Orbitz. Again, with prices as low as this, it can make sense to pay with points for your flights to Hawaii. You could end up paying fewer points compared to booking an award ticket. You’ll even earn frequent flyer miles while you’re at it! For example, if you have the Chase Sapphire Reserve®, you can pay for airfare through the Chase Travel Portal for 1.5 cents per point. So the cheapest flights will only set you back ~22,200 Chase Ultimate Rewards points (~$333 airfare / 1.5 cents per point)! Happy sale searching! Let us know if you book a ticket!